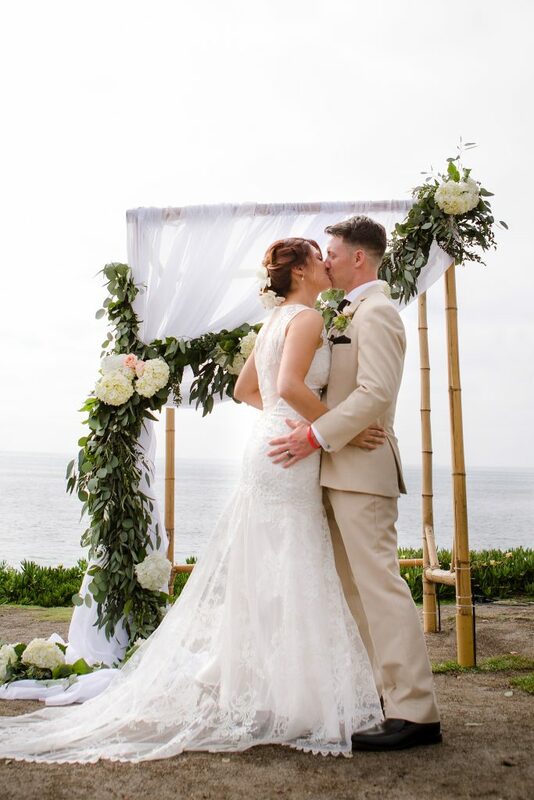 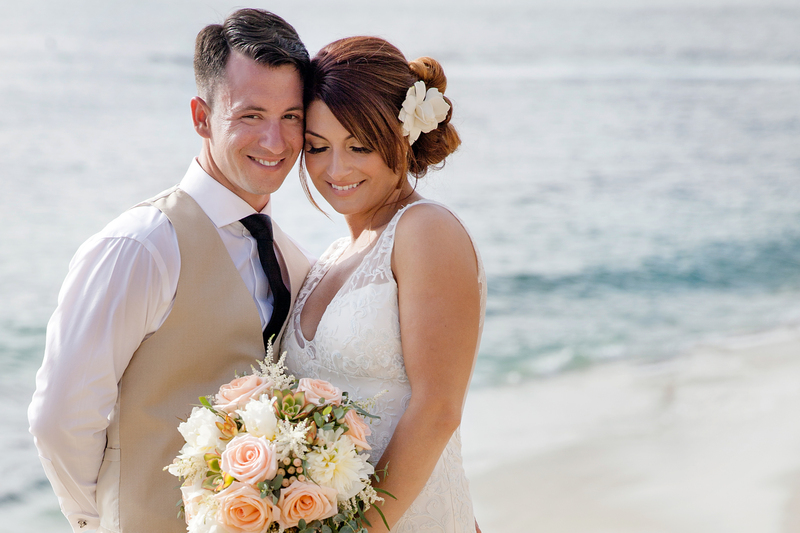 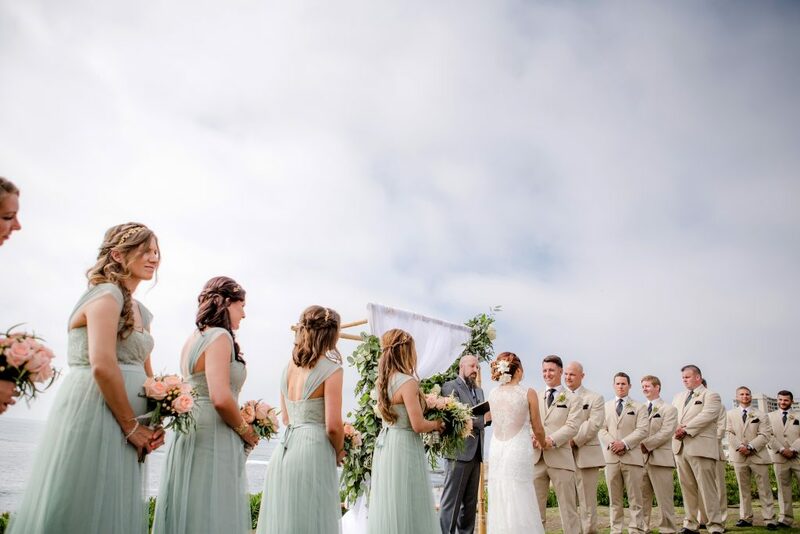 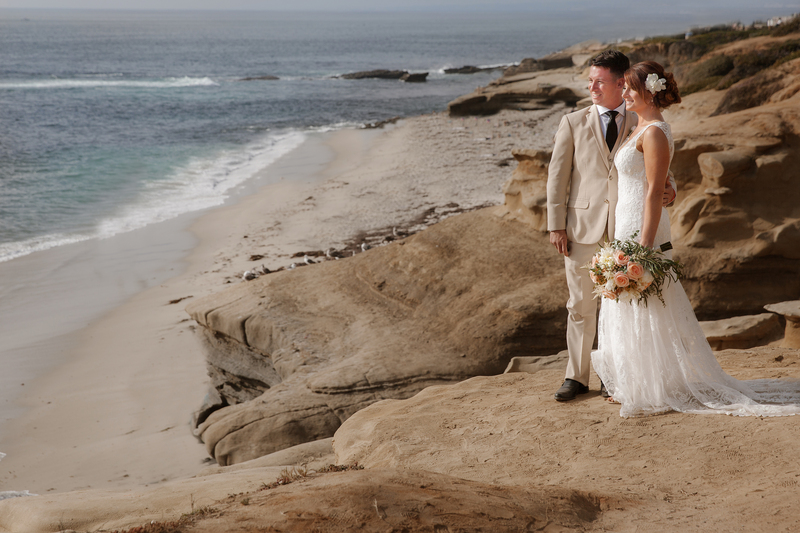 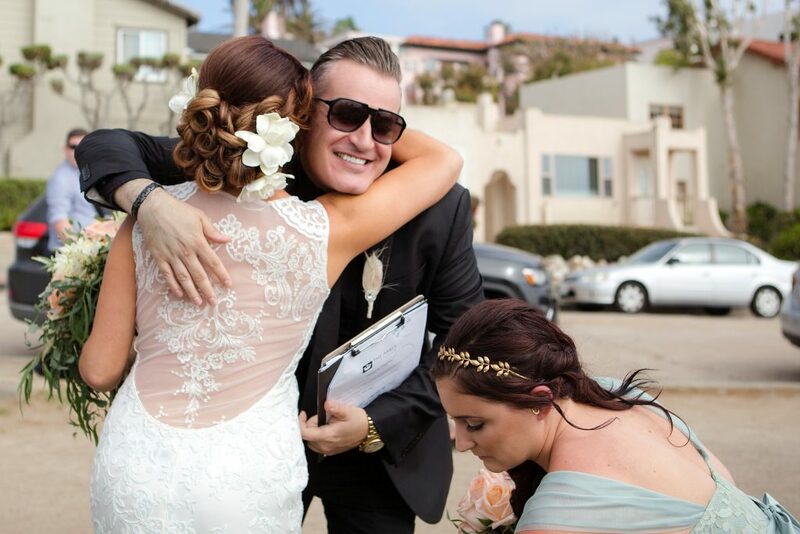 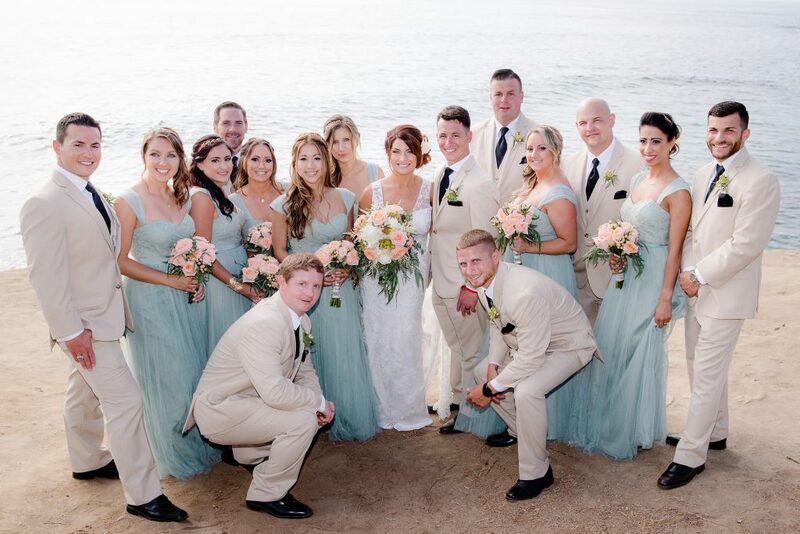 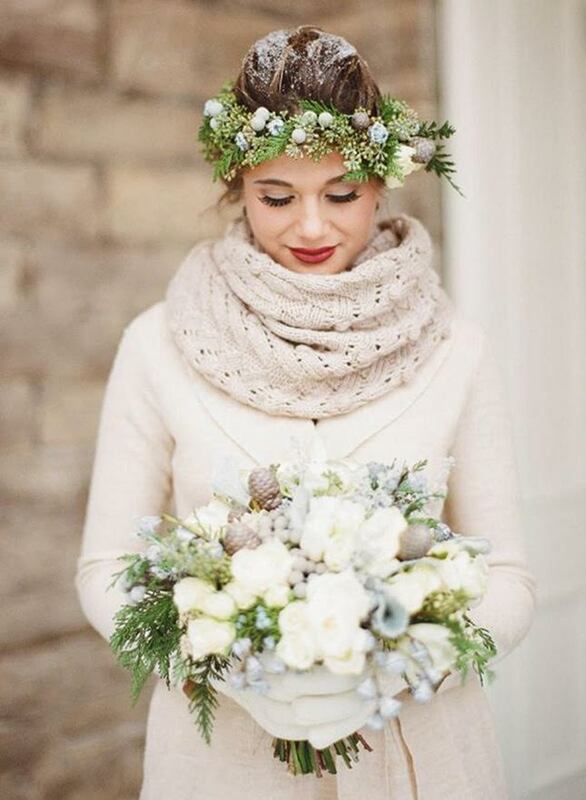 How could it get any better than a beach wedding in San Diego? 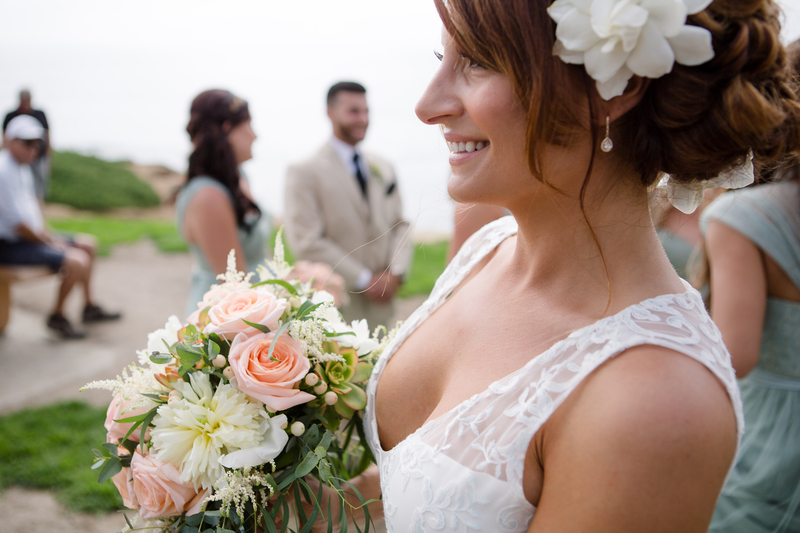 The weather and the water make San Diego the ultimate destination when you decide on a beach soirée. 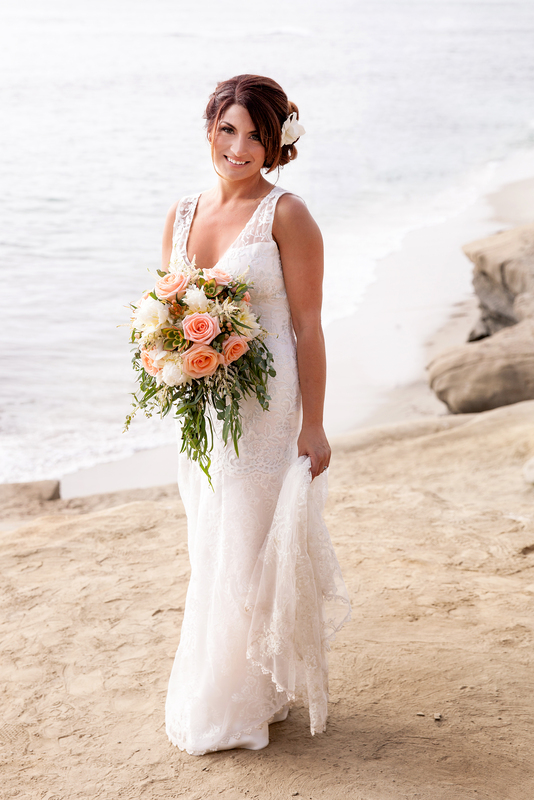 BOHO and the beach pair well together with the earthy & rustic vibe but I also love the dichotomy of elegance and the sand. 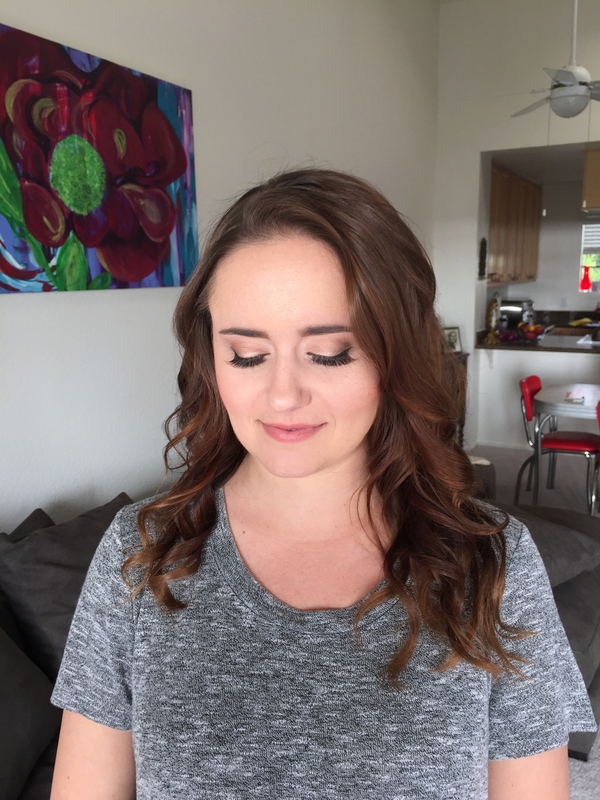 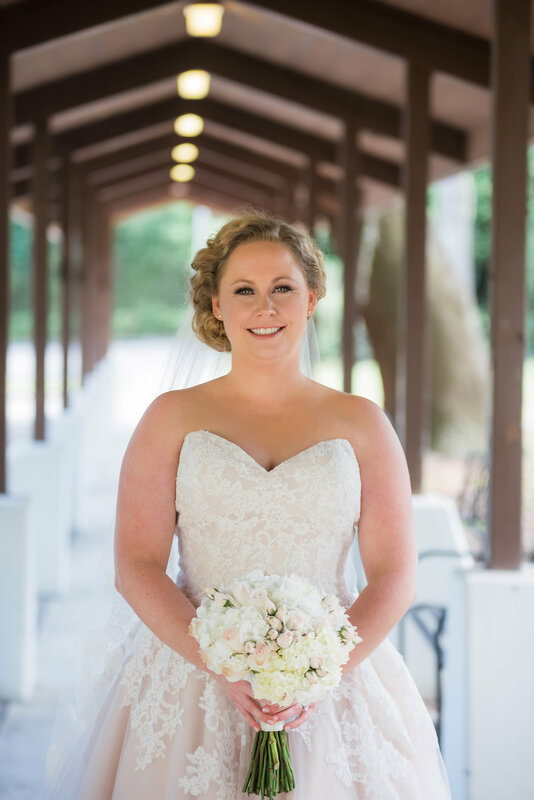 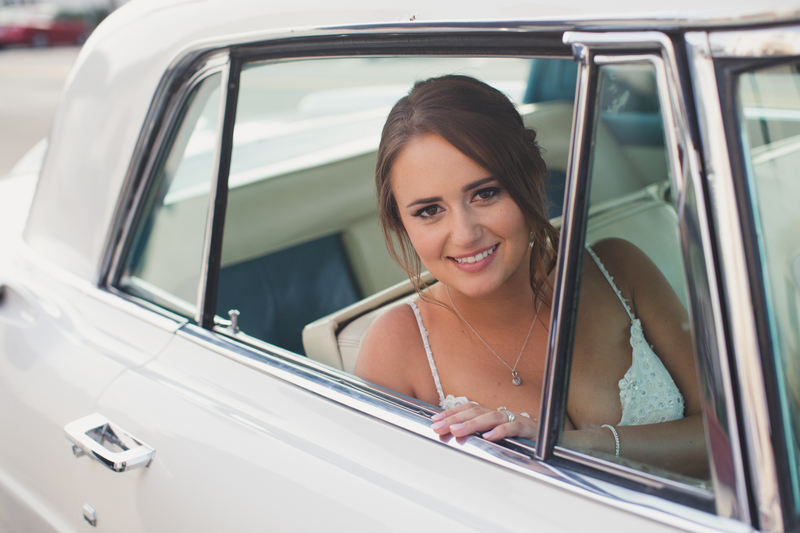 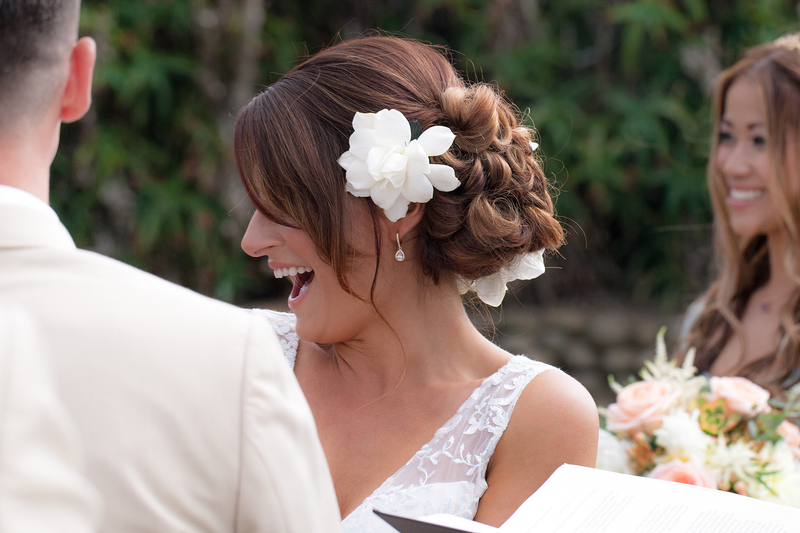 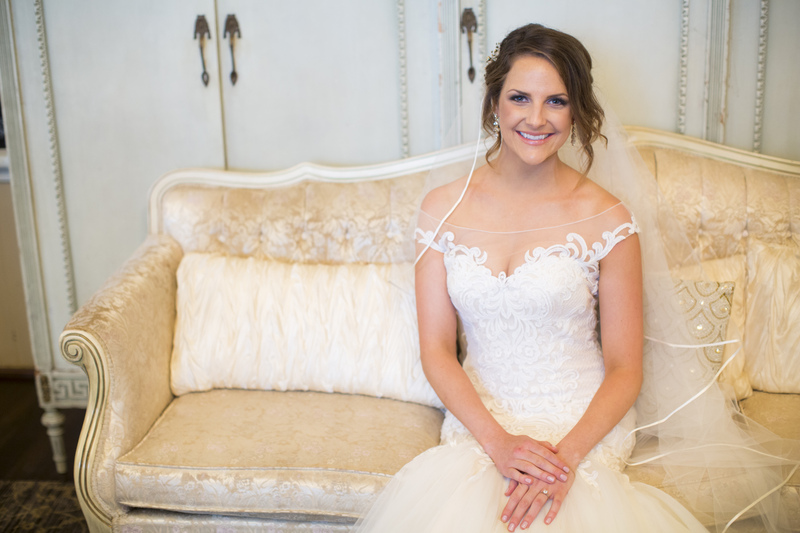 Our Bride Meg opted for an elegant braided updo with Gardenias in her Hair & for the Makeup we used neutrals and soft peach tones to accent her bright blue eyes. These beautiful pictures are from Meg & Sully’s wedding on June 4, 2016 in La Jolla, CA.